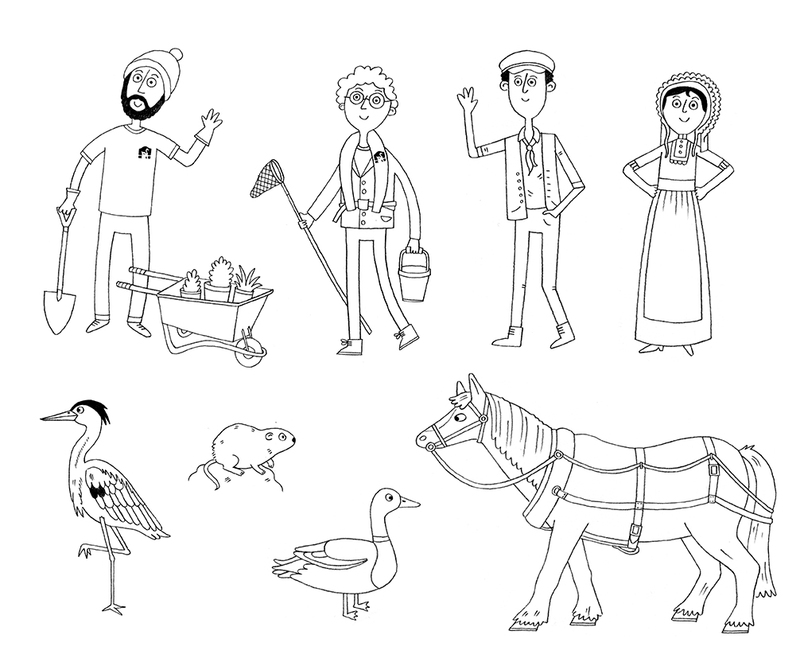 Here are some characters which I have just finished for the Canal and River Trust. They are being used on some children's activity sheets. I have tried to use a stronger line in these than I normally would, so that they have more of an impact on the page. I am very pleased with the fisherman's moustache. No one knows yet, but the girl has the best packed lunch in her cool box.